Flight Patterns from UVA Magazine on Vimeo. When she’s flying on a commercial airline, Lt. Page Felini has no trouble telling whether the pilot served in the Air Force or Navy. “If it’s a soft landing, it’s an Air Force guy,” Felini says. “If we hit and bounce, it’s a Navy guy. 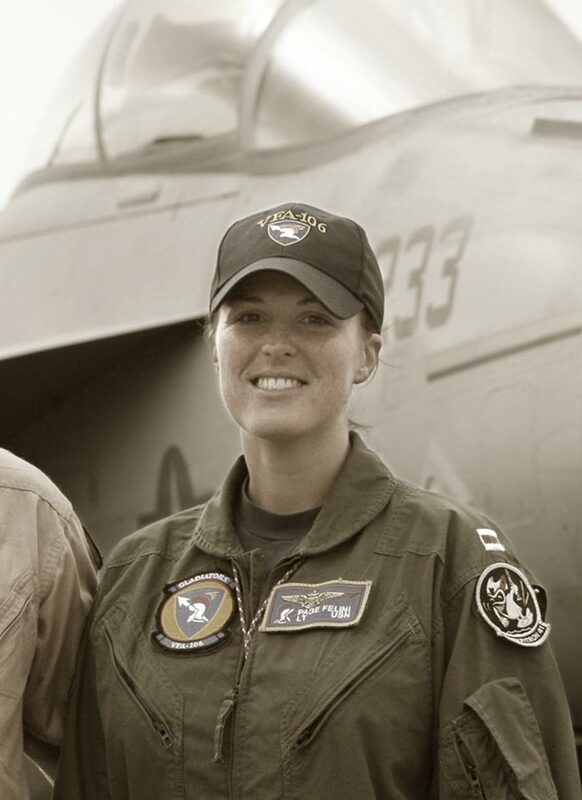 Felini (Engr ’00) knows all about that because she is a Navy pilot—in fact, the first female pilot in the Navy’s flight demonstration team. She attended UVA on an ROTC scholarship and received her commission upon graduation. She has logged 1,600 flight hours in an F-18 Super Hornet fighter jet and has made more than 250 carrier-arrested landings. “That means I stopped on the boat,” she says with a laugh. “And that starts to wear on your back. Felini, 31, grew up in Cincinnati and now is a flight instructor at the Oceana Naval Base in Virginia Beach. She did two tours of duty in Iraq, where she flew 15 combat missions. Felini considers herself lucky. She never took on fire, nor did she have to fire a missile or drop any ordnance. As a member of the Navy’s demonstration team, she takes part in air shows across the country and around the world, including the Paris Air Show in 2007. “It’s a 17-minute thrill ride,” she says. Her brother, Lt. Cmdr. 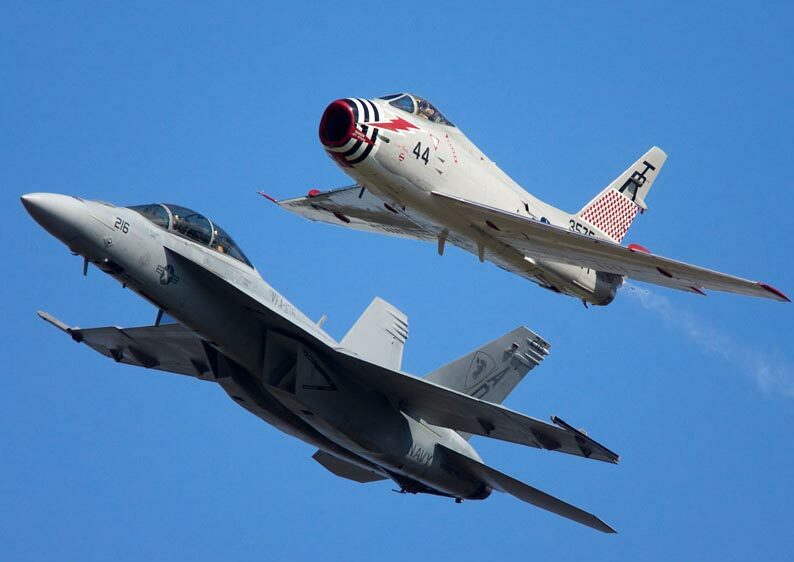 Paul Felini, a Naval Academy graduate, also is a Navy pilot, and the two have appeared together at air shows. Felini realized early on that the University was the place for her.